Today's food highlight is Tofu, the Soy Paneer, paneer made out of Soy milk/soy curd. It is naturally gluten-free, low in cholesterol and obviously low in calories. It is important source of protein for Vegans and vegetarians and also for people who are lactose-intolerant. 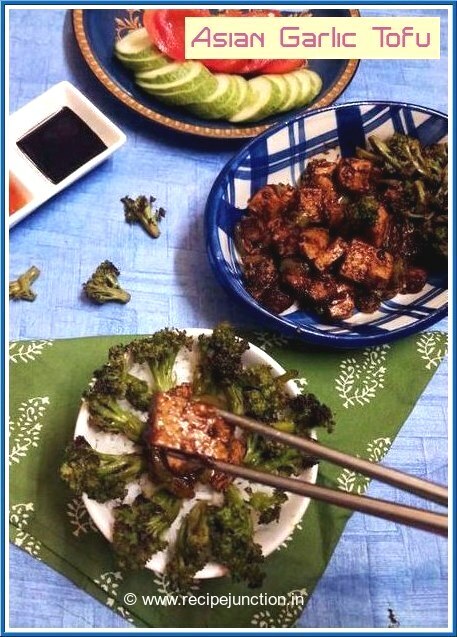 Tofu is an excellent food from a nutritional and health perspective. It is thought to provide the same sort of protection against cancer and heart disease as soya beans. Tofu is made by coagulating soy milk to create curds. The curds are then pressed and compacted into the gelatinous white blocks recognized as tofu. Tofu is a good source of protein and contains all eight essential amino acids. It is also an excellent source of iron and calcium and the minerals manganese, selenium and phosphorous. In addition, tofu is a good source of magnesium, copper, zinc and vitamin B1. I love Tofu and include it frequently in my diet. 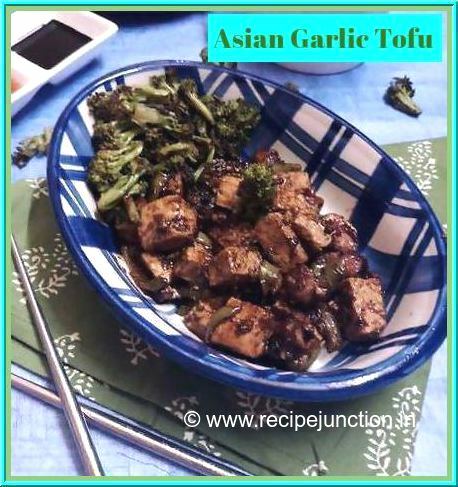 Tofu has an amazing ability to work with almost all types of flavour and foods. Soya protein (from which tofu is derived) is believed to help lower levels of bad cholesterol (LDL). Due to the phytoestrogen content of soya, many women decide to include soya rich foods like tofu in their diet as they enter the menopause. Tofu is a staple in Thai and Chinese cooking. 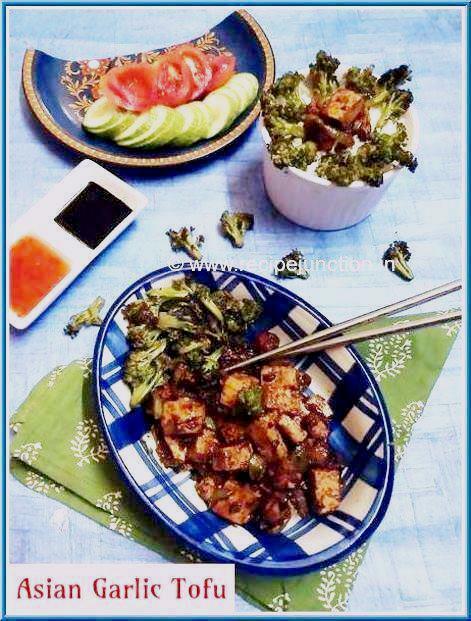 I make Tofu in Chinese way mostly, sauted in a mixture of sauces, no frying in oil and I usually enjoy these semi-crunchy sauted tofus with steamed and shallow fried broccoli. Here is how I make Tofu mostly at home. Firm Tofu : 250 gms. Worcestershire Sauce : 1 tblsp. Red Chilli Sauce : 1-2 tblsp. Olive Oil(preferably) : 1 tblsp. Remove Tofu from package, rinse in water. Squeeze out some moisture from the tofu and put something heavy over the tofu to squeeze out the moisture. 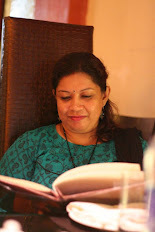 I do not take out the whole moisture and I love the semi-soft texture and taste of it. When done, cut them in desirable pieces. 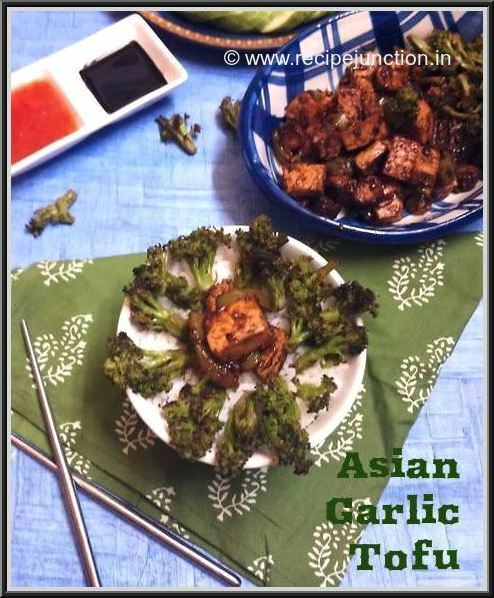 In a bowl, make a mixture of all the sauces, ginger and garlic. Marinate the tofu pieces in the sauces and keep aside for 1/2 an hour. Heat olive oil in a non-stick pan, add the tofu pieces with the marination. Season with salt, sugar and black pepper. In medium heat, let it soak the sauces. Saute until tofu pieces are nicely coated with sauce and cooked through. Do not overcook them. Lastly sprinkle some white sesame seeds on top and serve with rice. Serve some shallow fried broccoli florets by the side.